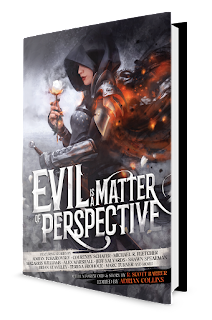 The team at GRIMDARK MAGAZINE want to get fantasy authors into the shoes of their established antagonists and present you with 15+ dark fantasy stories in a beautiful print tome. 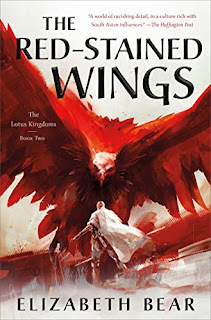 We've engaged a range of fantasy authors with established worlds including R. Scott Bakker's The Second Apocalypse, Courtney Schafer's Shattered Sigil, Adrian Tchaikovsky's Shadows of the Apt, Teresa Frohock's Los Nefilim, Jeff Salyards' Bloodsounder's Arc, and many more. 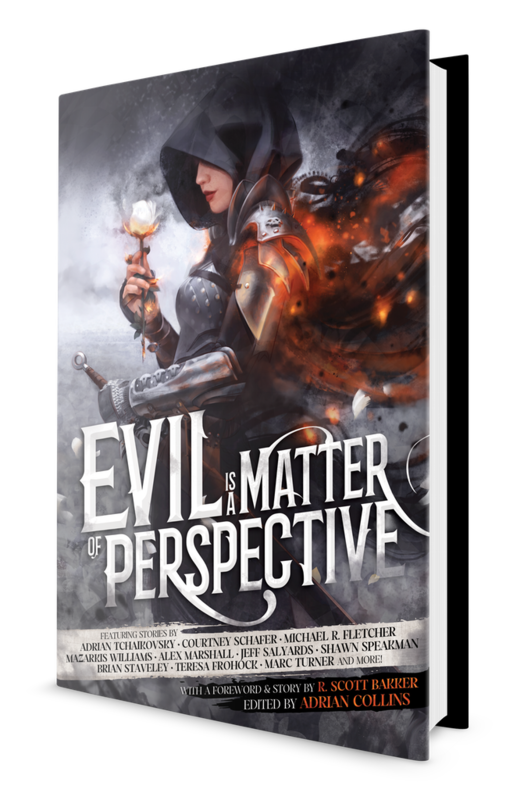 Wrapped in Tommy Arnold's beautiful cover art, designed by crowd favourite Shawn King, and with a stretch goal to fill it with Jason Deem's interior art, Evil is a Matter of Perspective will be an eye-catching addition to your shelf once you're done seeing the world through evil's eyes. 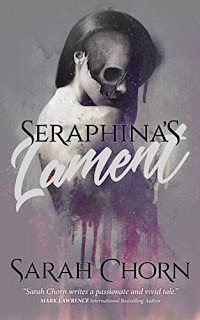 The Kickstarter for this just went live, and it is a truly staggering collection of authors - R. Scott Bakker, Adrian Tchaikovsky, Michael R. Fletcher, Shawn Speakman, Teresa Frohock, Kaaron Warren, Courtney Schafer, Marc Turner, Jeff Salyards, Mazarkis Williams, Deborah A. Wolf, Alex Marshall, Bradley P. Beaulieu, and Matthew Ward. Oooh, I saw this yesterday! I will most likely back this, it sounds amazing. Great choice! Just saw this as well. Its a fantastic line up of authors! I saw this kickstarter earlier, I think I will end up backing too - look at that excellent line up! 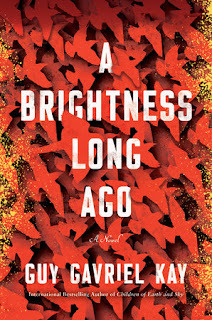 Wow - look at all those authors! Just wow. It's going to be awesome.